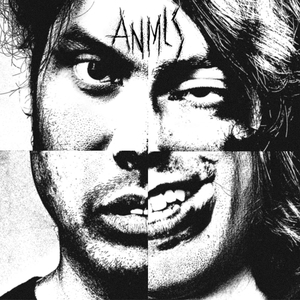 From an infected rat infested Chilean gutter, Slovenly Recordings, in conjunction with Algo Records, presents the debut LP from Santiago's ANMLS - a crude combat booted kick to the temple in the grand tradition of confrontational units like Eskorbuto and Black Flag. These muchachos must have worn out copies of the entire Black Flag discography, because some tracks sound very much inspired by their early EPs, while other tracks have a darker & heavier Rollins-era sound. This self-titled LP is a 100% Spanish language gang-vox shot of ripping speed-garage-punk soundtrack music for a punk house toilet brawl that'll rearrange your face for simply existing. Tough sounds for tougher times, born of a pack of rabid jackals disgusted with socio-political realities. ANMLS are ready to ruck!